The number 20 Tram was indeed completed and terminated in front of the modern day North Perth Plaza shopping centre on Fitzgerald Street. 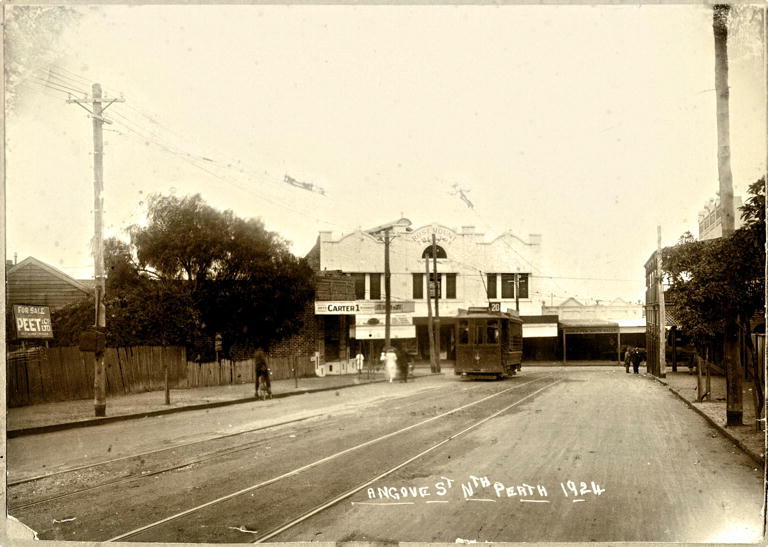 Around 1909, North Perth residents around Angove St began campaigning the Council for an extension to the tram routes further up Fitzgerald Street and into Angove Street. The extension of the line to the corner of Angove and Albert Streets was officially opened in March 1910 to a community celebration. 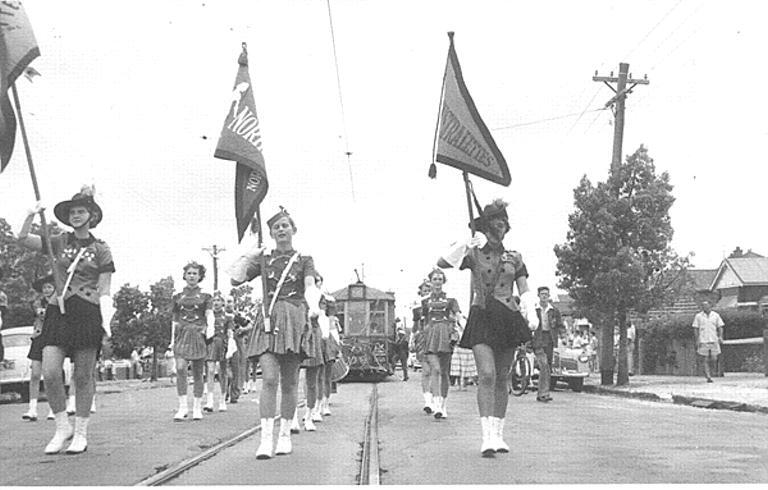 Around 700 local children were given tram rides from North Perth to Nedlands and back throughout the day. At the end of the ride, they were treated with confectionery, pastries and other treats and given a souvenir card commemorating the opening day. There was a strong opinion among officials attending the opening that the population of the district would increase as a result of this extended public transport access, and this certainly seemed to come true. By 1911, there were 5,000 residents of the district and by 1921, North Perth Primary School located just behind the tram terminus, had become the state’s largest primary school. The tram route was extended to Charles St in 1927 when it became known as no. 22 Tram. 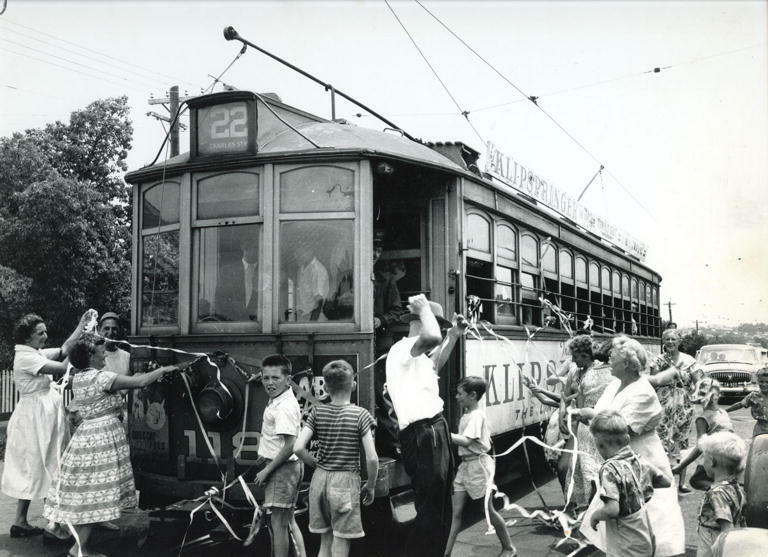 Following the Great Depression and World War II, funding to maintain the trams were not as readily available and many people found catching the trams less affordable. North Perth’s route 22 Tram was the last to run in the suburb on 1 February 1958. Marching girls marked the occasion, with a performance on Angove Street. 136109PD: Tram No. 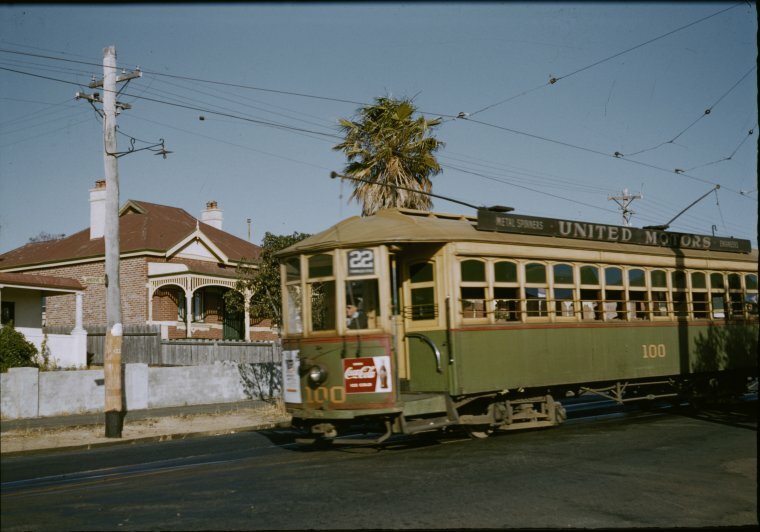 100 at Angove St. on loop or end of double track, 1958. Thompson, Micheal: Photographer. Sourced from the collections of the State Library of Western Australia and reproduced with the permission of the Library Board of Western Australia. Battye, J. S. Cyclopedia of Western Australia The Cyclopedia Company, Perth, 1913, Fasc. Ed. Hesperian Press, Carlisle, Western Australia, 1985, Vol. 1, pp. 554-555.